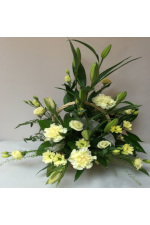 Arrangements come beautifully arranged in their own oasis block ready for immediate display. 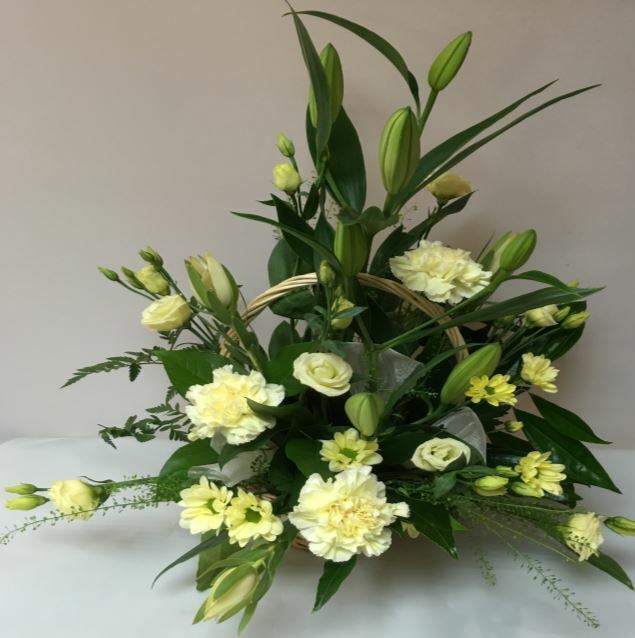 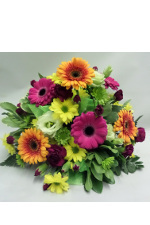 They can be made in any colour or flower combination starting from £30.00. 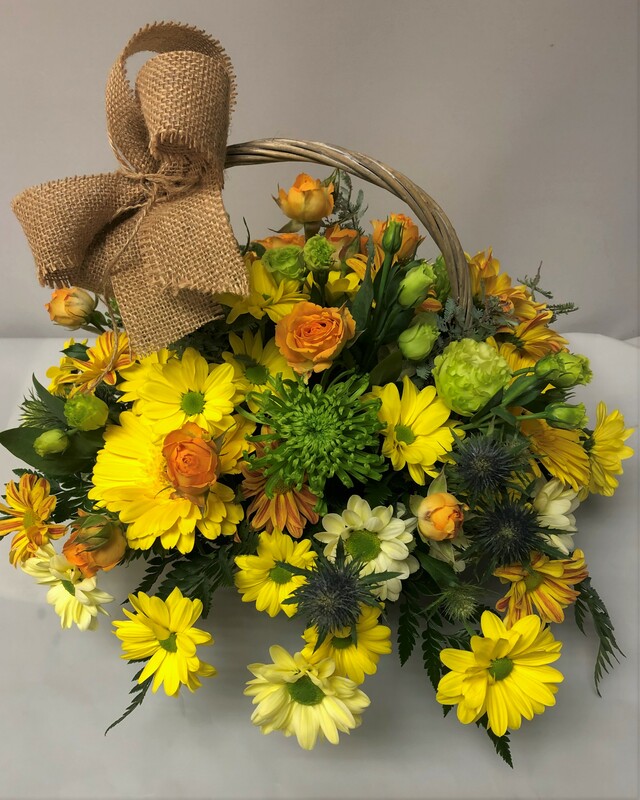 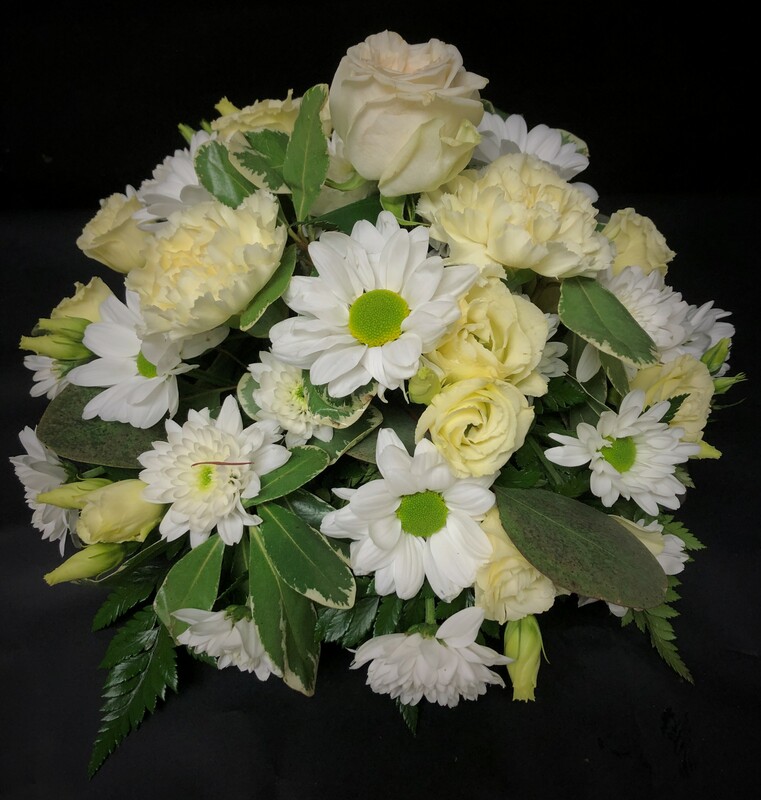 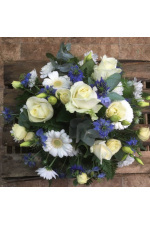 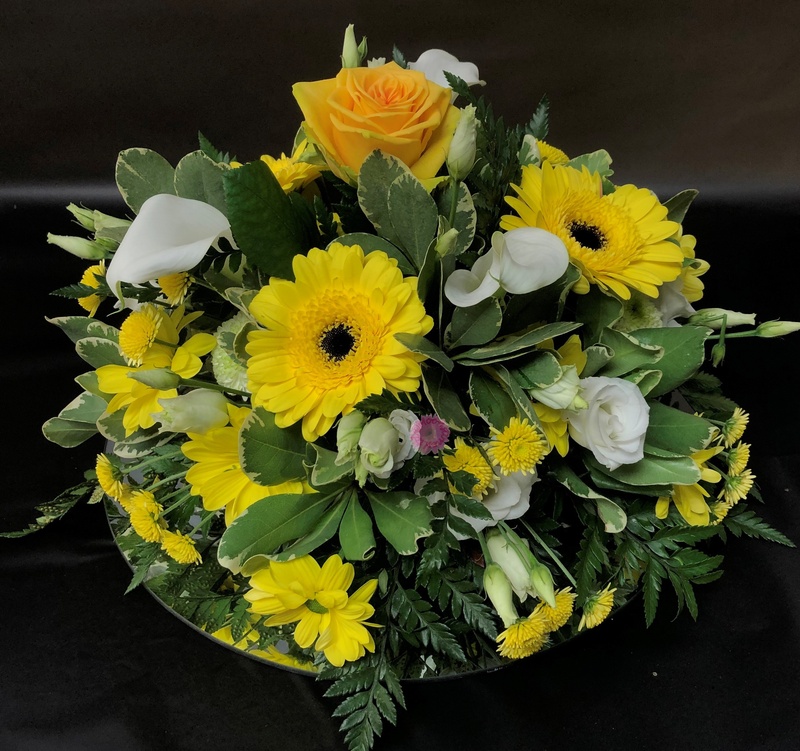 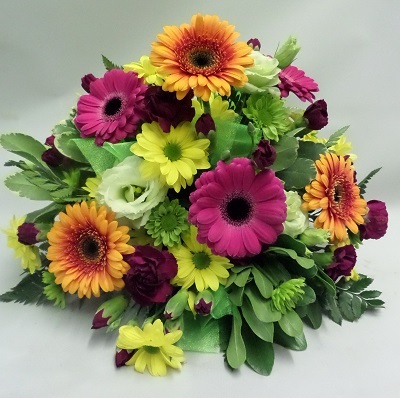 **Best Seller** A vibrant Posy arrangement in a mixture of selected seasonal flowers. 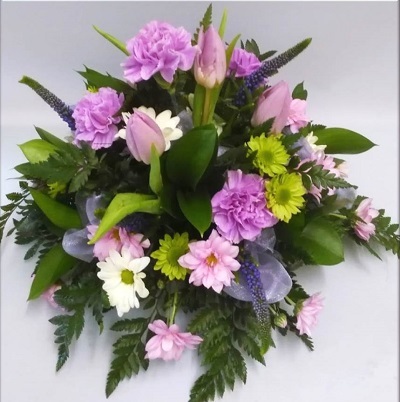 An all round posy arrangement of mixed seasonal flowers in lilac and green shades. 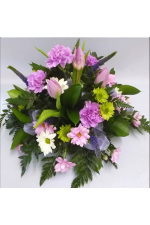 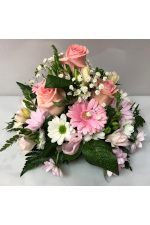 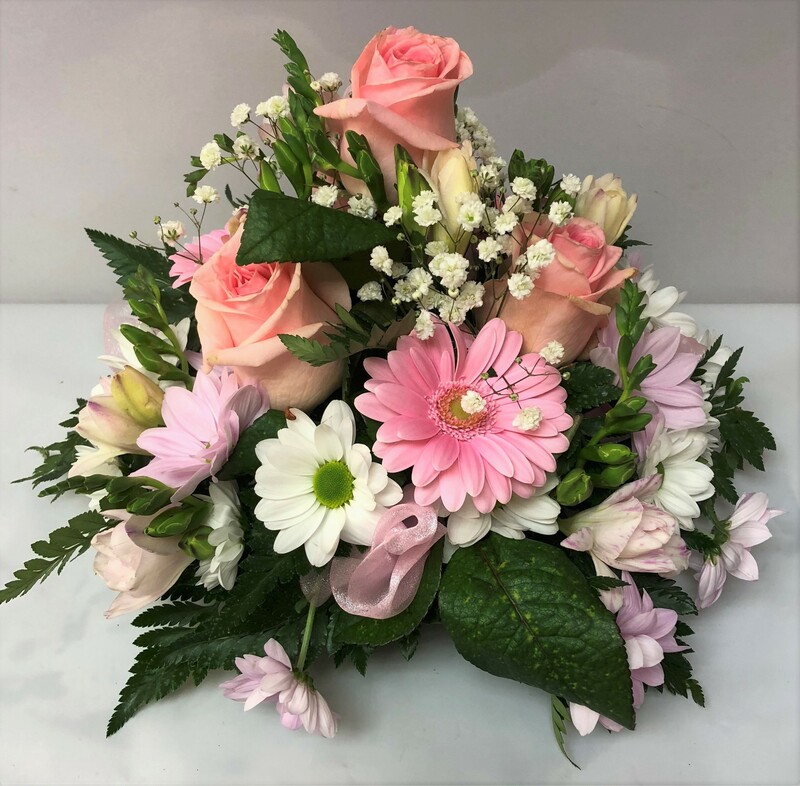 A posy arrangement in various shades of pink mixed seasonal flowers. 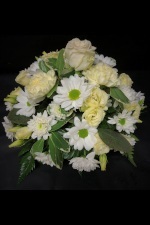 A mixed seasonal posy in delicate cream shades. 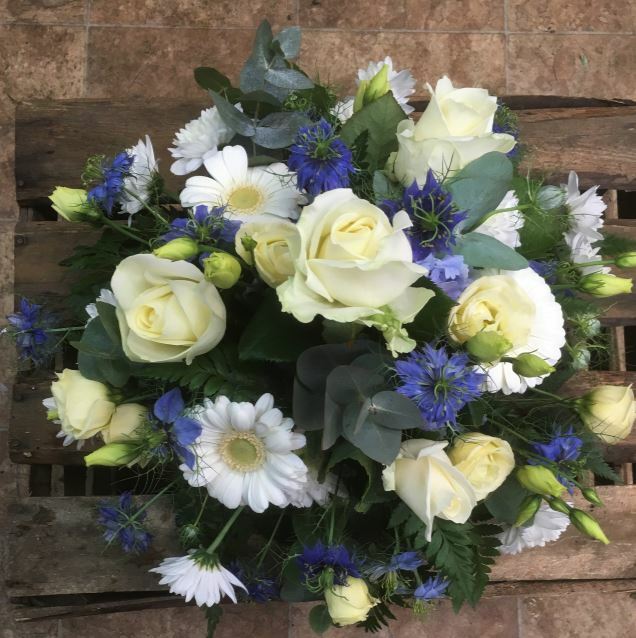 A neat posy arrangement in mixed seasonal creams with a touch of blue. 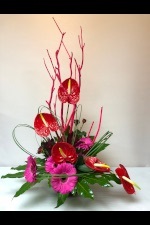 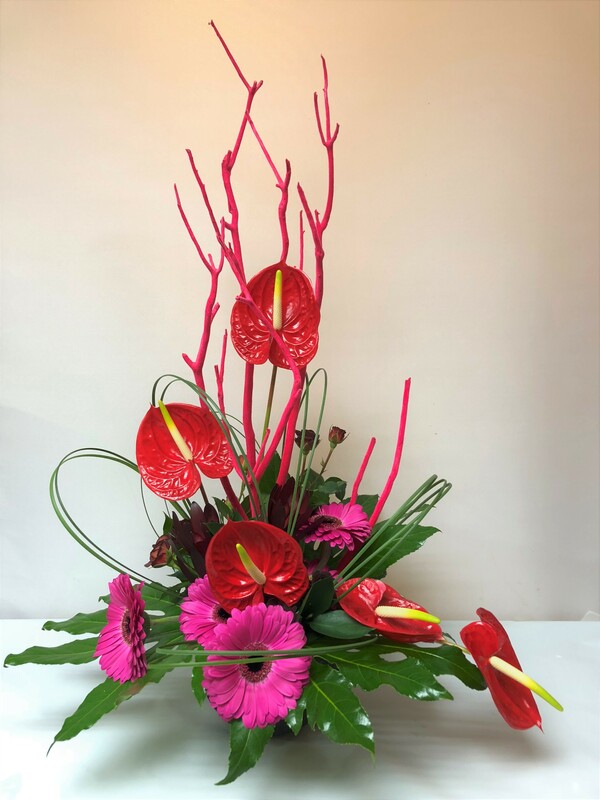 A funky facing arrangemennt using Anthuriums, Gerbera and foliages to tone in hot pinks and reds. 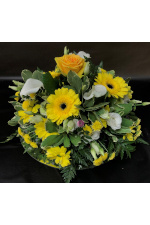 A selection of seasonal flowers, arranged long, low and all round in a basket - please state your preferred colour preference. 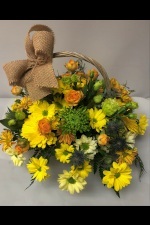 A mixed seasonal front facing basket arrangement - please state your preferred choice of colour.